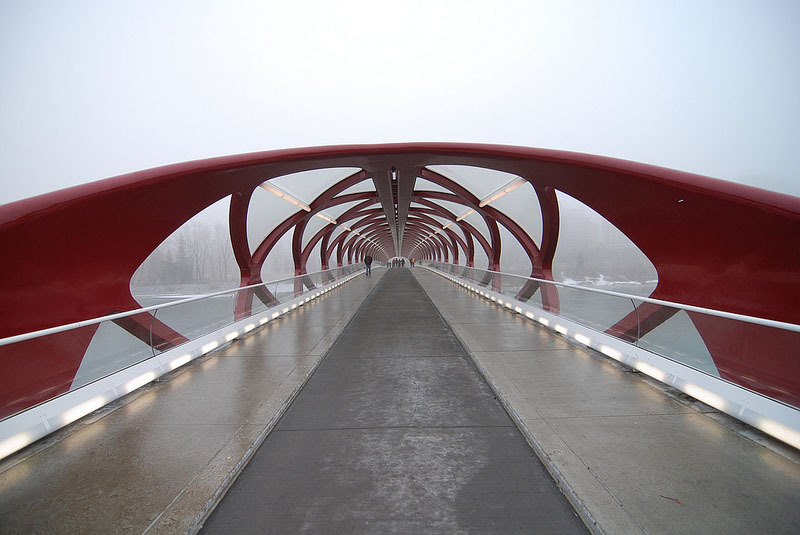 Not a typical design for Spanish architect Santiago Calatrava, the Peace Bridge in Calgary, Canada, was inaugurated at the end of this past March. 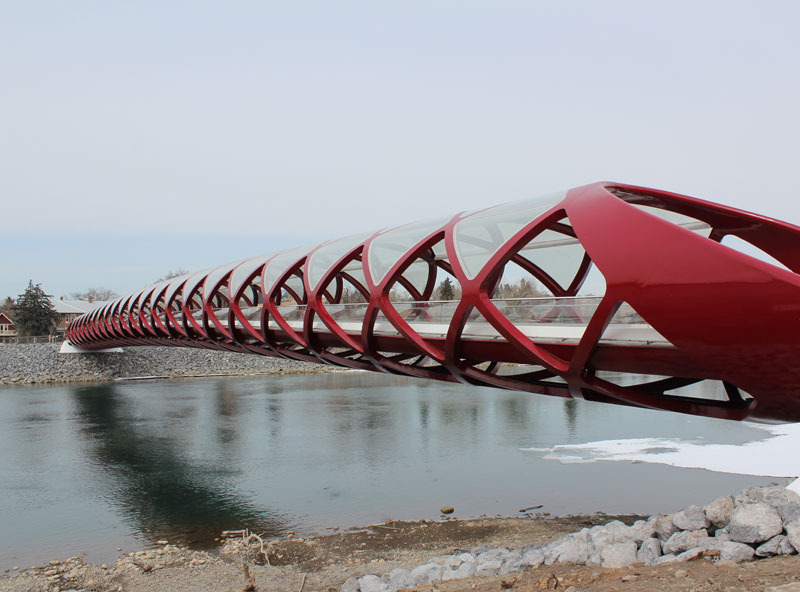 A red twisting helix-shaped pedestrian bridge, the Peace Bridge is a low single-span bridge without Calatrava’s usual soaring vertical accents because of a no-fly zone above due to a nearby heliport. In addition, to minimize impact on the local environment, the bridge was constructed without supporting piers in the riverbed. The result is a striking tubular steel-truss bridge, with enough coverage to protect against the winter elements, yet open enough to keep cool in the summer. Beautiful! Photos: Robert Coxwell; City of Calgary; CarlCarl; and Incremental Photo’s flickrs, as well as Santiago Calatrava. As an engineer, I really marvel the innovations of truss manufacturers today. During the 70’s this feat is not possible, the creation of more flexible and malleable alloys are key with this structures. Modern engineering is just growing fast.